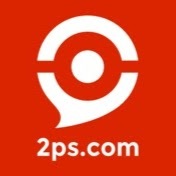 Since the beginning of 2PS.com, we have made many changes and have changed technology many times. We introduced"v3" in November 2016 and one of the major changes is our authentication system. With the "v3" you can connect to 2PS.com with your social networks and/or create an "identification account" (login/password). If you haven't logged in for a long time, you need to recover your"v2" account with a first connection on the"v3". To do this you must create an account with the same email address as your old account. If you do not remember your email address or you registered at the time of v1 (Between July 2014 and October 2015), contact us at support@2ps.com. Create an account with your email (same used on your "old v2 account") and choose the password you want. The next time you log in to 2PS.com, simply use the default"Login" section. If you have linked your social networks to your profile, you can use any of them to connect. If you are having trouble logging into your old account, send us an email at support@2ps.com and we will help you quickly.